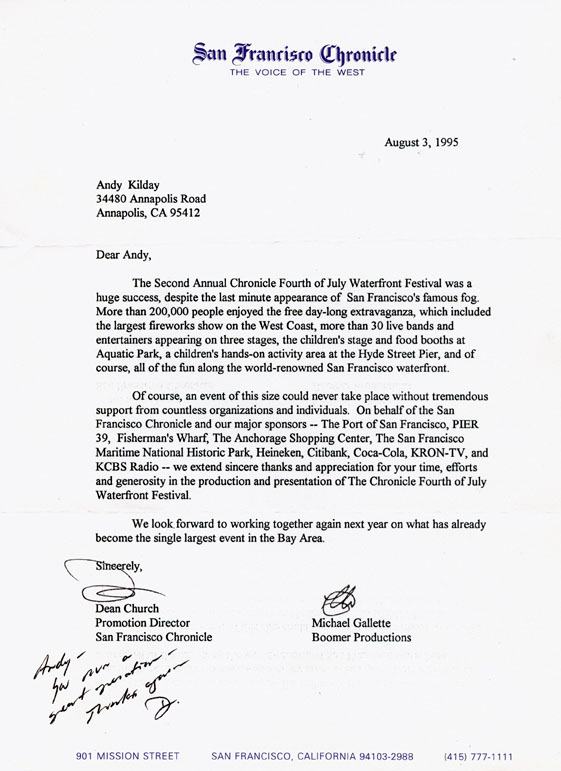 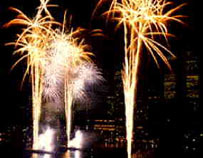 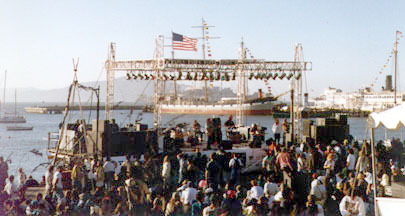 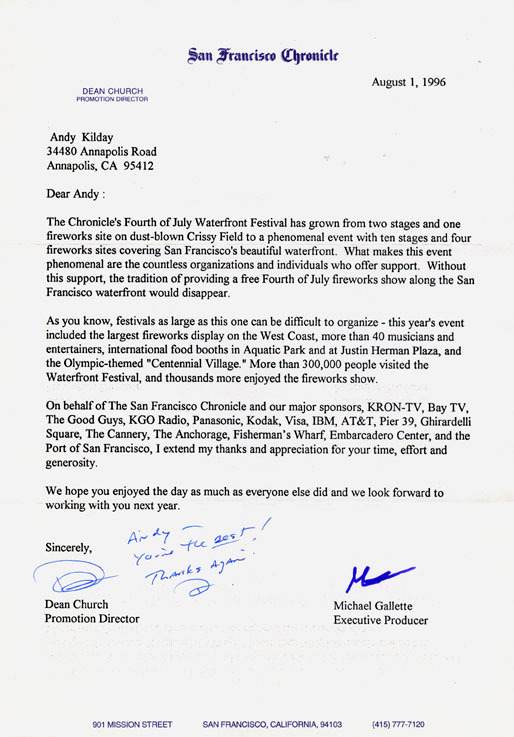 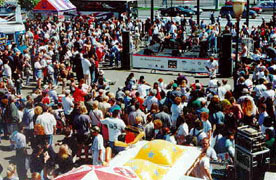 the San Francisco Chronicle Fourth of July Waterfront Celebration was born. 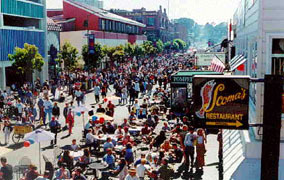 was extended to include at Justin Herman Plaza, Embarcadero Park and the Ferry Plaza. 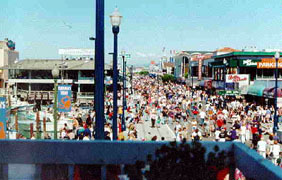 of over 30 blocks of city streets, making it arguably one of the largest events in San Francisco. 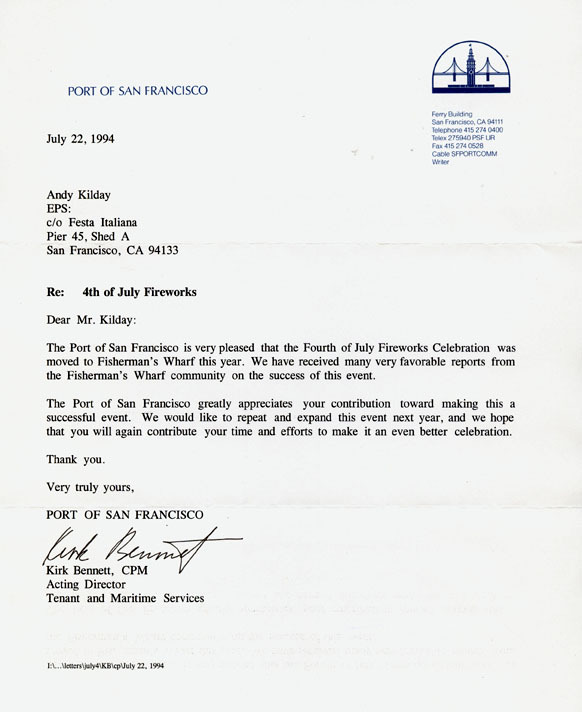 SF Maritime National Historical Park, Muni, the San Francisco Paramedic Division and many others.